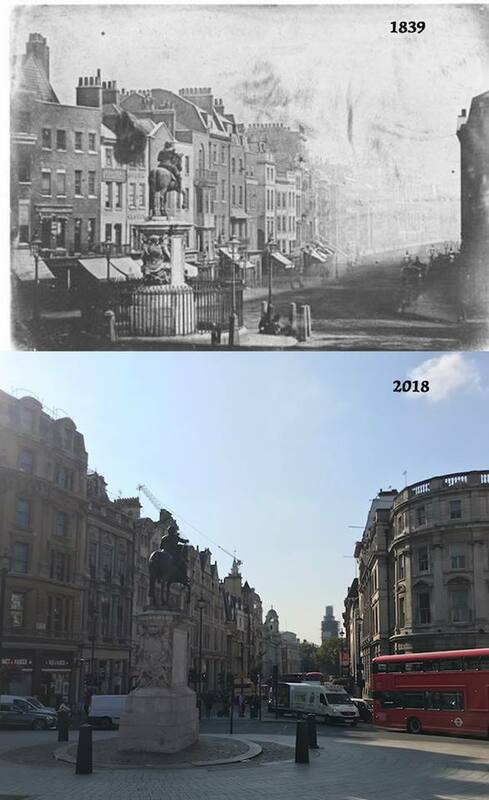 Got an old photo of London but not sure where exactly it's located? Found an evocative old image of the capital and want to see it recreated? Drop the photo into the Londonist Memory Machine Facebook group and we'll see what we can do. 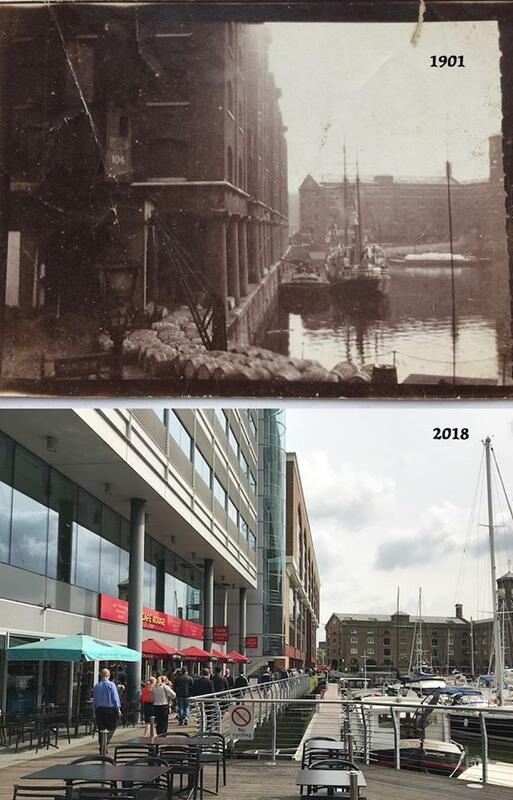 Group member Janet Gordon submitted the top photo of HMS Discovery in an unknown London dock, taken by her grandfather in 1901. We identified it as St Katharine Docks and snapped a photo from the same spot. The group was set up in early summer 2018 for people who like to explore the history of London. Join up if you want to discuss any aspect of the capital's history. But now we're trying something a little different. We want the group to work like a proper 'memory machine', where members submit old photographs and we try to find out everything we can about the location. The best ones will be recreated for comparison. The oldest known photo of London shows the Charles I statue at Charing Cross in 1839. The modern view is surprisingly similar. Photos can be from the distant past, or more recent times (e.g. 'swinging sixties', punk London, Millennium celebrations, etc. ), so long as other members might find them interesting. Please let us know any copyright restrictions when submitting the image. Join Memory Machine here. Transport aficionados might also enjoy our Roundel Ramblings group.